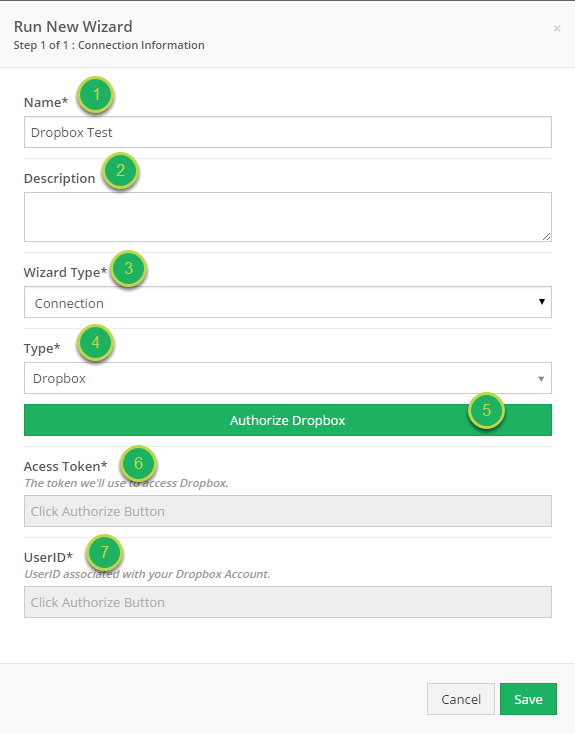 Documentation and SupportReleases Mango Release Notes 2016-11-12Dropbox Export Connector Now Available. 3. Enter the Dropbox Data. The name of the wizard. This will help you identify it later. 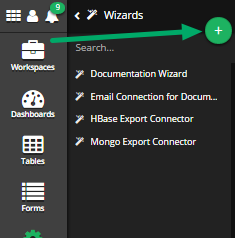 Anything that would help you further identify the use of this wizard can be typed here. This is a choice between Connection and Template. For this case, we'll be using Connection. This is a list of all the connectors available. For this case, we'll be using Dropbox. When you're ready to log into your Dropbox account, click this button. It will open up another secure window where you can enter your credentials. This is generated from the Authorization of dropbox. In most cases, you won't have to look at this. 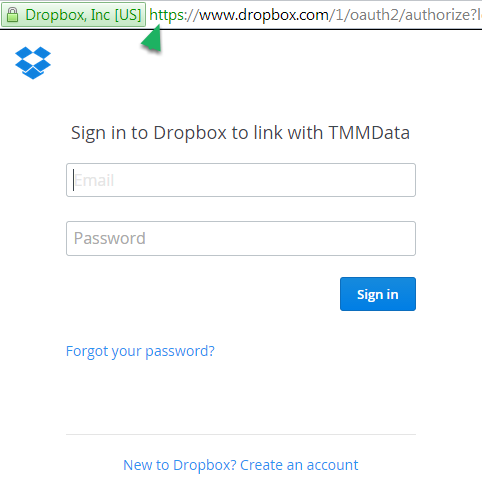 You will get a pop-up window after clicking the Authorize Dropbox button. If you don't, please check your pop-up blocker. 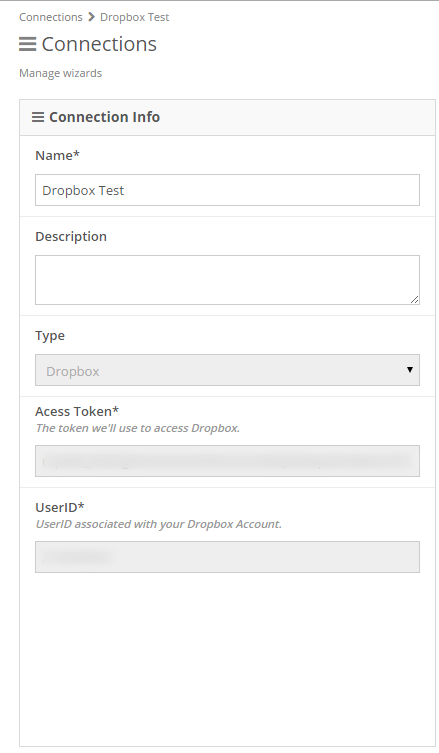 Log into Dropbox as you normally would in this screen. 5. 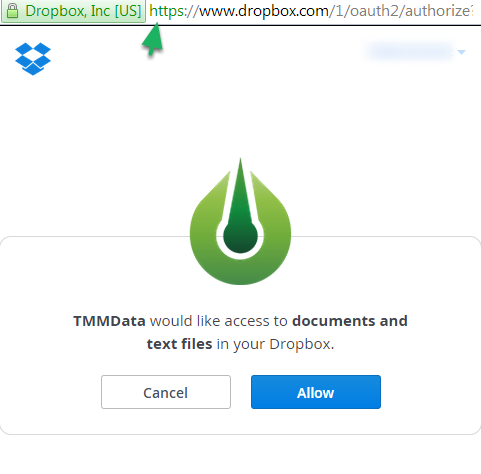 Dropbox will ask for permission to connect. If you wish to finish the connection, select 'Allow'. 6. Your connection is ready to use. 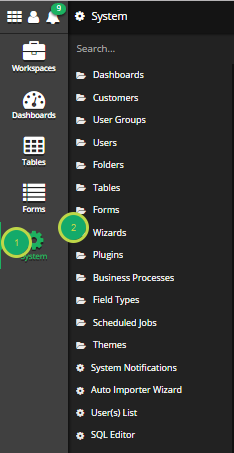 You can navigate back to this menu at any time to make additional changes. Prev: Oracle Export Connector Now Available.